Gain exclusive access to fresh insights from MDG’s top microbial experts, learn relevant new industry trends, and hear about upcoming events. Aquaculture is the fastest growing meat protein industry in the world. Microbial Discovery Group’s in-depth understanding of water quality, feed conversion, and disease prevention creates strong value-add partnerships. 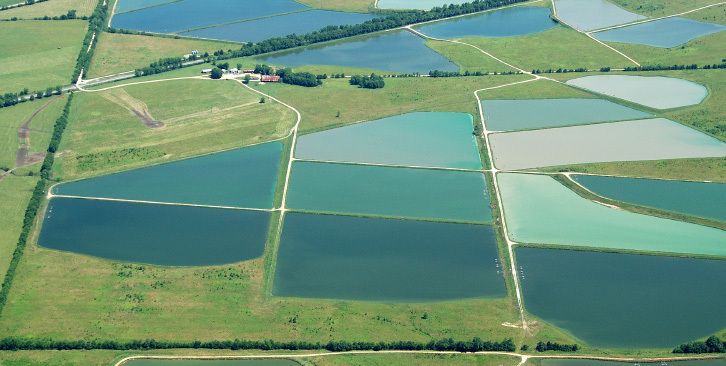 Similar to any other farming system, the aquaculture industry must confront environmental problems resulting from the industry’s intensification and commercialization. The need to produce and yield more tends to push these systems to the brink of failure. Success stems from understanding the aquaculture host, nutrition, water quality environment and the symbiotic microbial relationship of the direct fed probiotics. Microbial Discovery Group is active in solving problems facing the aquaculture industry. We can help with your water quality, FCR and overall yield needs – fast. Contact Us to learn more. Drawing on our animal agriculture experience, we have a unique approach to aquaculture problems. Do you need some new ideas that work?